Keen gardeners tend to have their favourite tools and other bits of kit, so what can you get them as gifts that will be both welcome and useful? Catalogues from seed companies are helpful and there’s endless gimmicks coming in from abroad but for really unusual presents that won’t end up in landfill by next Easter, look towards the main gardening supply companies. From traditional leather aprons to copper hand tools, you can find good gifts (that won’t break the bank) from companies including Brier’s, Burgon & Ball, Haxnicks, Stihl, Bosch, Gold Leaf Gloves, Town & Country, Forest Garden, Mr Fothergill’s Seeds, Johnson’s Seeds, Dobbies, Pomona Fruit, Stalwart and Lakeland Ltd - not an obvious choice, but they do tins of biscuits that serve very well to keep seed packets in long after the delicious contents have been polished off. Town & Country have a clever folding seat that has a bin tucked underneath, so you can have somewhere to sit down while you eat your biscuits! For the gardener who likes to encourage wildlife, there is an excellent range from Peckish, including a bird table that comes packed into a box to fit under the Christmas tree. Many seed companies offer wildflower mixes that are ideal as stocking fillers and a new pair of gloves seldom goes amiss. Trugs, secateurs, snips and stem-strippers are all useful gifts for the cut flower arranger and the advice here is always to buy the best you can afford. Cheap secateurs hurt your hand during prolonged use and seldom last more than one season. For those with limited space, Stewart do a great range of pots for the balcony or patio and Keter have brilliant storage solutions for keeping garden equipment stored safely. The storage box that is also a seat is particularly well-designed. A Microgreens Sprouter tower from Johnsons lets you produce healthy seedlings all winter for your salads or sandwiches without taking up much room. New (or forgetful) gardeners might appreciate a self-watering pot from Lechuza for their indoor plant or an LED growing kit like the Crest Hydropod to produce herbs indoors, even where the light level is low. 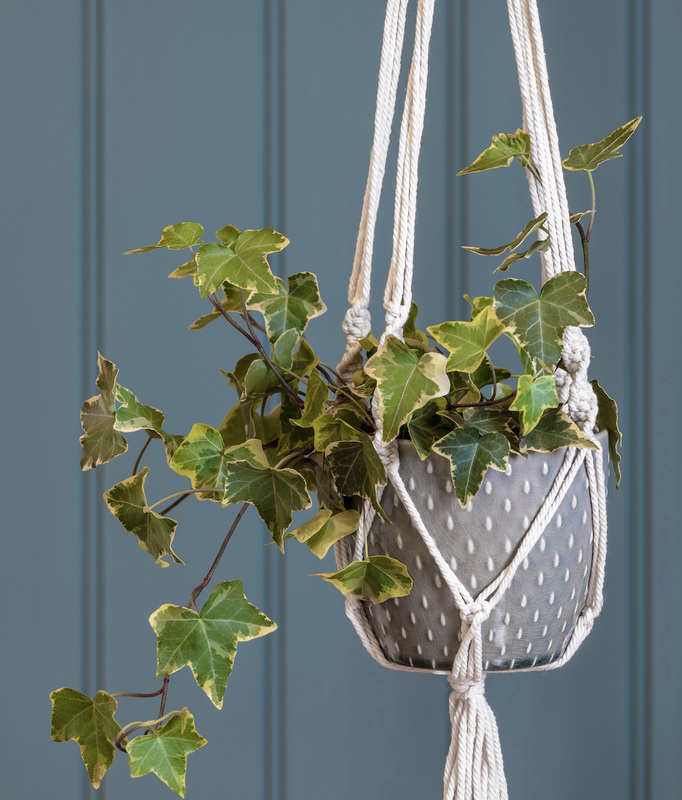 Also for indoors, Burgon & Ball have a range of different pots, including some in macramé hangers for that new 70s look. To encourage young gardeners, have a look at range of starter kits for children Johnsons Seeds. Briers offer all sorts of scaled-down tools, barrows, boots and other kit to get them off to a good start. Many of these gift ideas will be in shops and garden centres over the next few weeks, so look around and you should find something to suit every gardener on your Christmas list.